Twelve Days of Foxes and a Happy New Year! 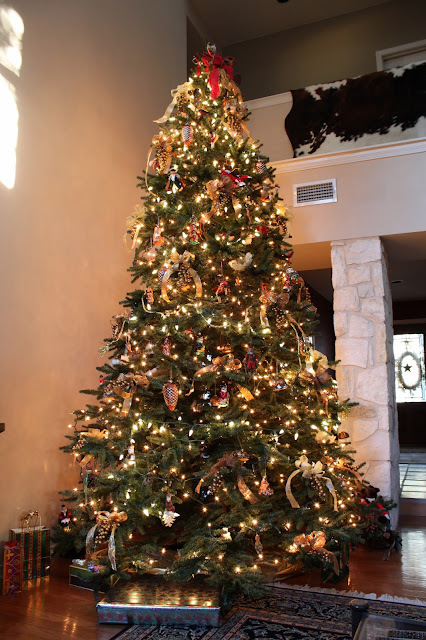 While considering what I might post for Twelve Days of Christmas my attention turned to the tree in the living room. It is 12 feet tall but that probably doesn't count. At the beginning of 2012 this blog was just three months old and I mused about the future of my garden and where blogging would take me. Now I have an entire year to review with 155 posts to choose from and it's time to look back on 2012 and share a few of my favorites. 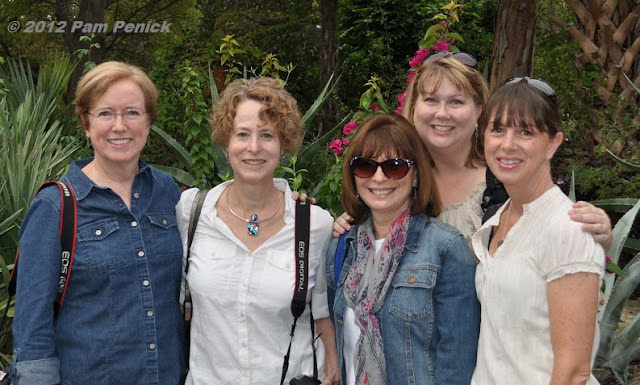 My first garden blogger meet-up in Austin was fun as I met four fellow bloggers in early November and toured six great gardens on the Garden Conservancy's Open Days tour. Pam Penick of Digging corralled us for a group photo to mark the occasion. Our group included (L-R) Jean of Dig, Grow, Compost, me, Diana of Sharing Nature's Garden, Pam Penick of Digging, and Catherine of The Whimsical Gardener. I had so much fun meeting them for the first time and spending the day touring six special gardens in Austin. Around the Block: ¡Feliz Navidad! 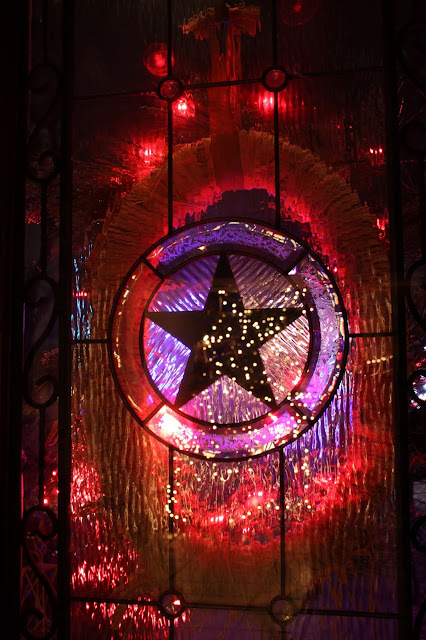 Like most of San Antonio our neighborhood lights up for the holidays. 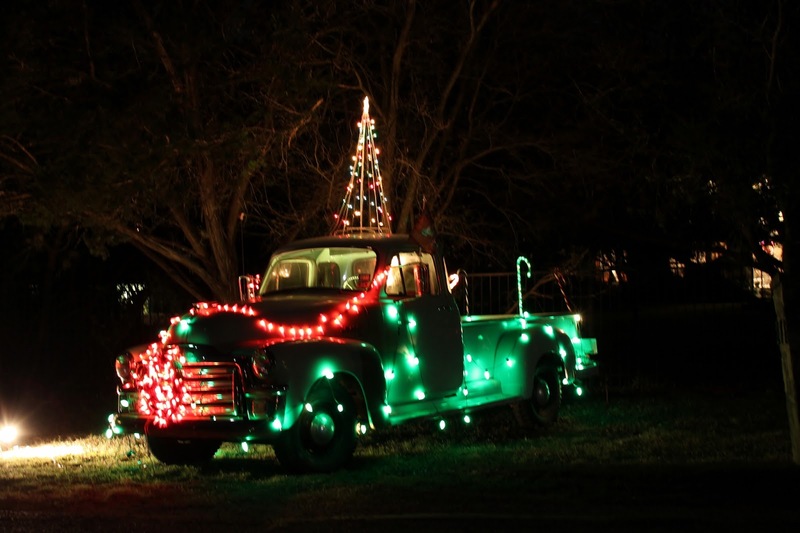 The mild weather makes it easy to get out and decorate. The luminarias ringing the lawn and across the wall of the courtyard are simple and inviting. 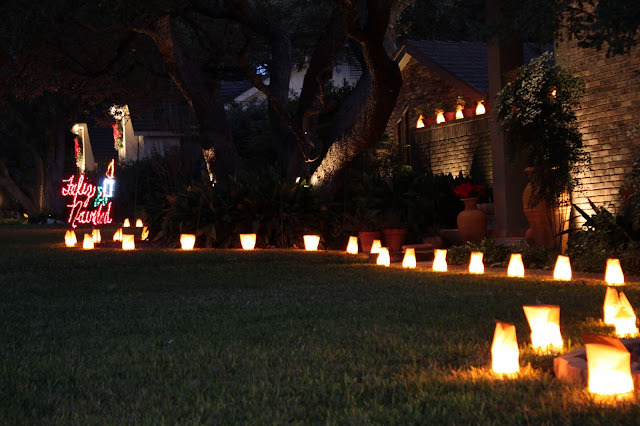 These are reusable and durable luminarias which are easier and safer than the traditional paper and candles. 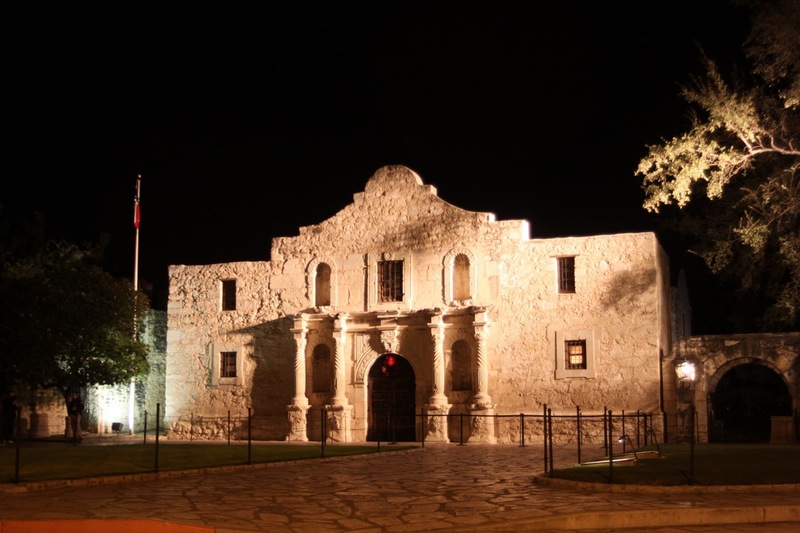 After strolling under the lights on the River Walk we headed over to the Mission San Antonio de Valero known as the Alamo. No matter how many times I've seen the Alamo, I rarely miss the opportunity to walk by once again. The song "Rose of San Antone" often comes to mind. "Deep within my heart lies a melody"
For Foliage Follow-up today I'd love to show you my halls decked out in evergreens for the holidays, but they are all fake. 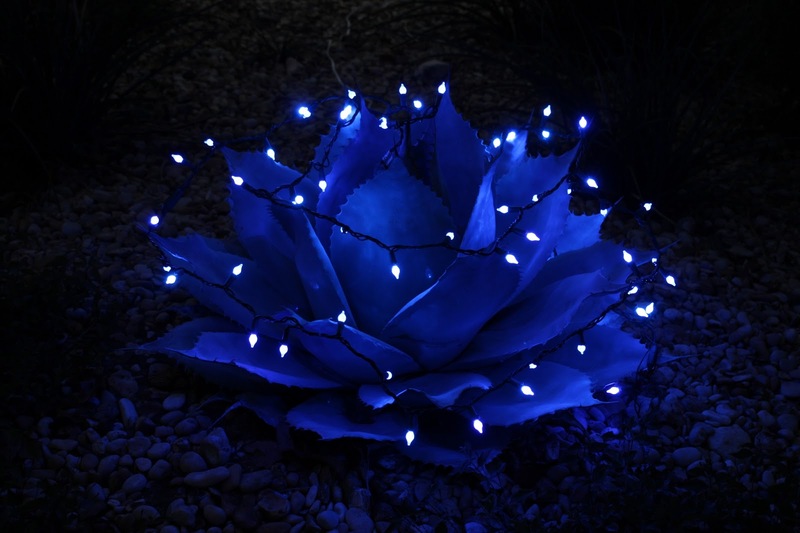 Yes, I use artificial greenery because it's impossible to keep evergreen wreaths and roping green in our warm winter climate. I've tried making my own wreaths of juniper, rosemary, and boxwood from the garden but a few days in our 80+ December weather renders them droopy and brown. 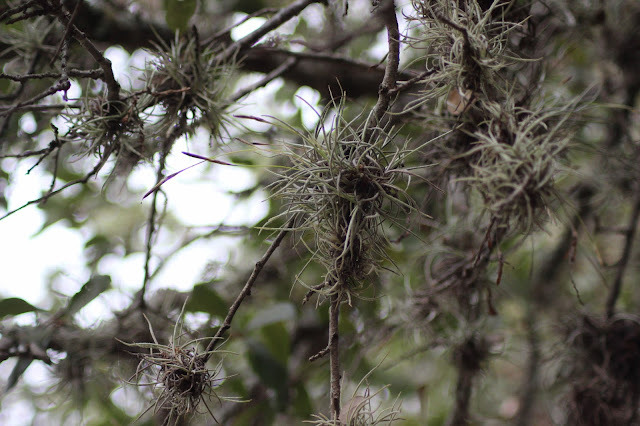 While searching for ideas using native greenery I found photos of interesting tillandsia arrangements and wreaths. That is one plant we have plenty of in South Texas. Tillandsia recurvata grows all over our live oak trees. Garden Blogger's Bloom Day for December 2012 finds plenty of blooms in the garden even with two freezes this past week. 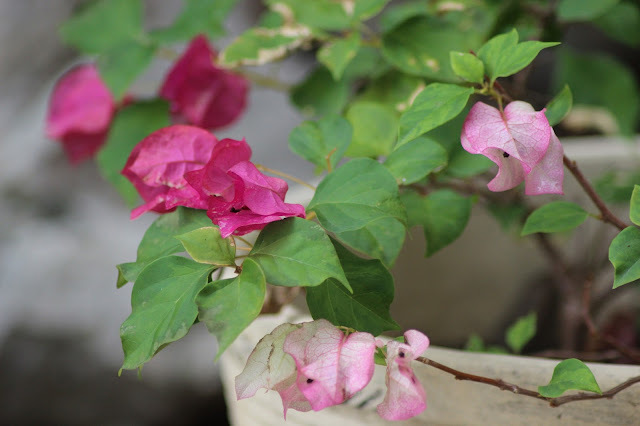 Bougainvillea, light and deep pink mixed in the same container look great considering they are not too hardy and I forgot to cover them. 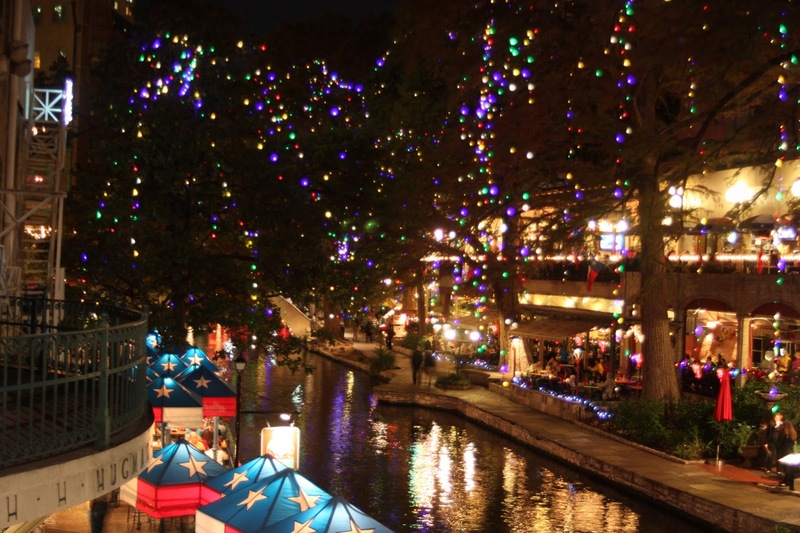 The San Antonio River Walk is ready for the holidays and what's old is new again. 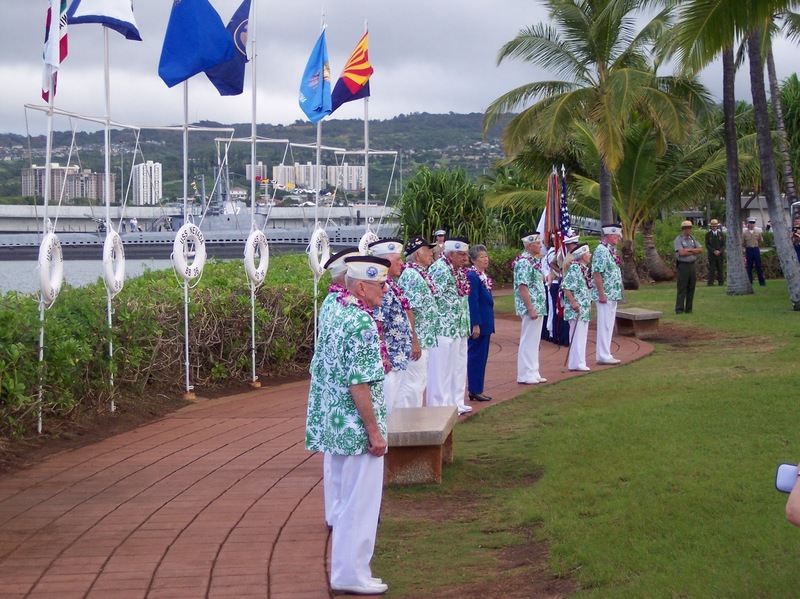 Today marks the 71st anniversary of the Japanese attack on Pearl Harbor. 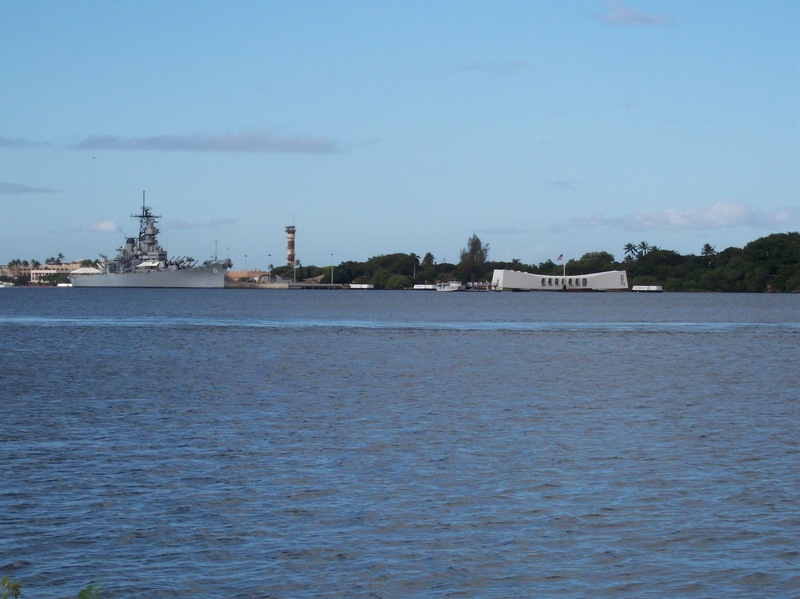 In 2004 my husband and I had the privilege of being at Pearl Harbor on December 7th for the National Park Service ceremonies. Nine survivors were on hand to be honored. The flags behind them represent the ships sunk that day and the states for which they were named (L-R) California, West Virginia, Nevada, Utah, Oklahoma, and Arizona. The USS Arizona Memorial (white structure) is in the harbor and sits above the sunken ship where 1177 perished, and many remain entombed as a national cemetery. I wonder how many survivors will be there today. We will always remember them. I love holiday lights, the more the merrier and San Antonio has a lot of lights like these at The Pearl just north of downtown. 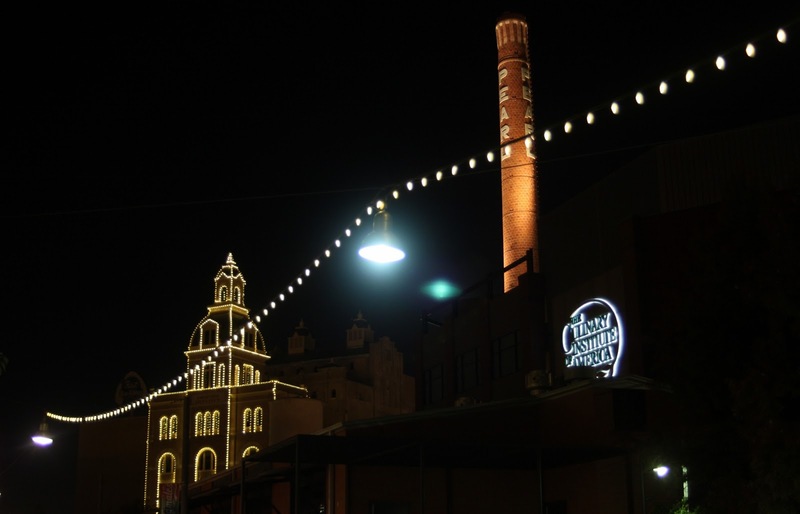 The Pearl Brewery buildings have been an iconic presence along the San Antonio river for more than a century. Now known simply as "The Pearl" the brewery closed in 2001 and the buildings have been redeveloped into spaces for restaurants, shops, and special events. 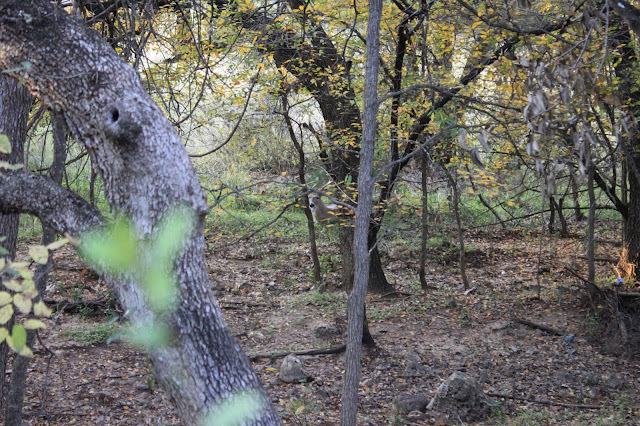 It's one of my favorite places in town because it also provides easy access the north end of the River Walk. Last night we went down to take a look at The Pearl and the nearby "River of Lights" display. The former brewing building is outlined in lights. The smokestack is one of several in town which have been preserved. 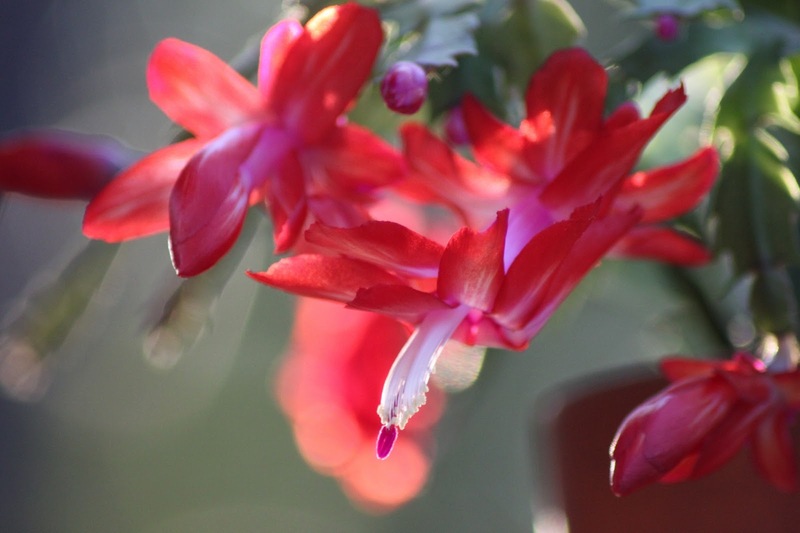 The Christmas cactus in bloom always reminds me of my grandmother who grew these and other winter blooming plants like kalanchoe in her large, sunny front window. I spotted some on sale after the holidays last year and decided to give one a try for the first time in years. 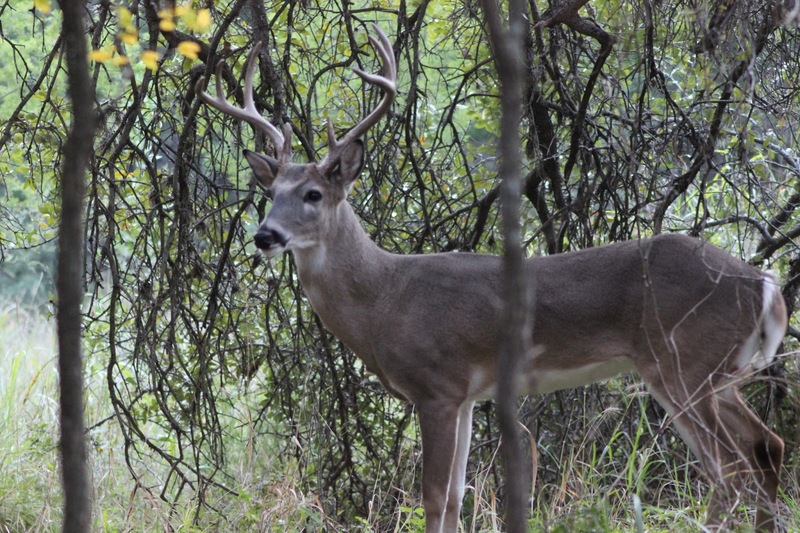 Living in a warmer climate makes it easier to find a place for these. My grandmother's Christmas cactus bloomed in soft pinks. 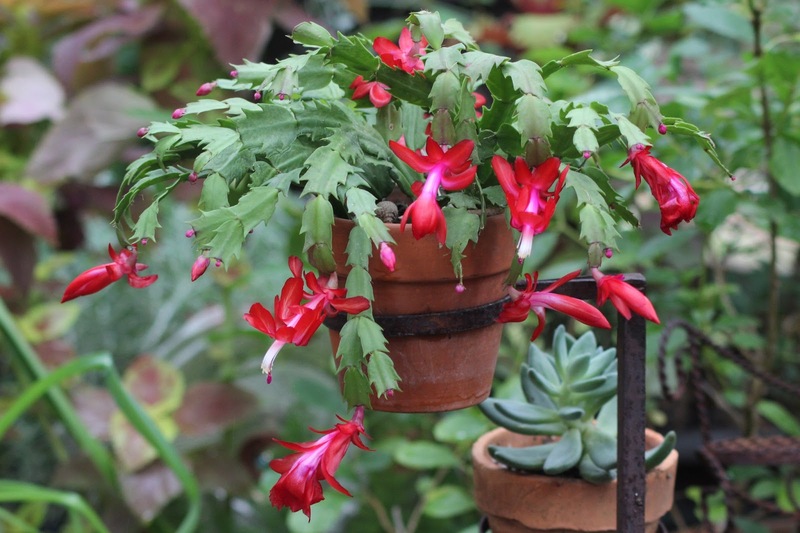 When I purchased this plant the blooms were long gone so it was a surprise when gorgeous bright red blooms appeared this year. Like a winning raffle ticket. They look like pretty red holiday ornaments.